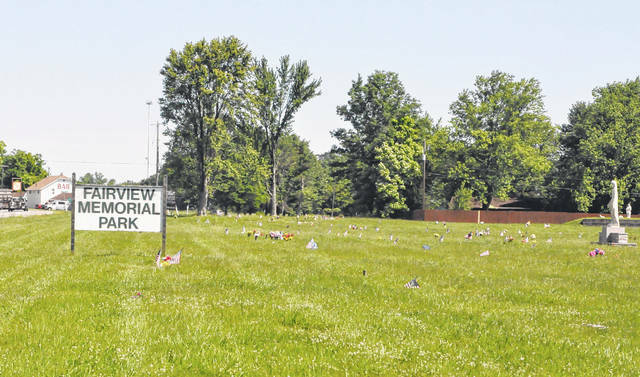 The attorney overseeing the operations of Fairview Memorial Park, 5035 Columbus Pike in Lewis Center, filed his eighth report Tuesday and reported that he continues to over see regular burials and deal with numerous issues at the cemetery. On Tuesday, Strip reported that he continues to deal with challenges caused by the records kept by the previous owners of the cemetery, Theodore and Arminda Martin, who are currently serving prison terms after pleading guilty to multiple counts of theft for selling items for the cemetery but never delivering or ordering them. Strip reports that in these situations, plots are exchanged for the families, and Strip said he and his staff are constantly editing and updating burial records. Strip also states that he has had several meetings with families searching for information. “I believe it is appropriate to indicate that the Receiver and his staff have virtually brought peace and comfort to all parties involved with the cemetery as evidenced by the fact that there have been little to no complaints issued to the Court, the Prosecutor’s Office or to the Receiver himself,” Strip writes. Strip said there had been some questions about the maintenance of the cemetery but said he has made arrangements to take care of the cemetery over the summer. Strip reported that the Fairview bank account currently has $671.58. Meanwhile, attorneys representing Berlin Township filed motions in court last week to prevent a potential sale of an 8.32-acre parcel of the cemetery to the Islamic Society of Central Ohio and asking for the title for the cemetery to be transferred to the township. The township also asked that a conference be set to discuss the future of the cemetery.